A chance to test out the latest offerings from a couple of new companies offering wireless earbuds and headphones. 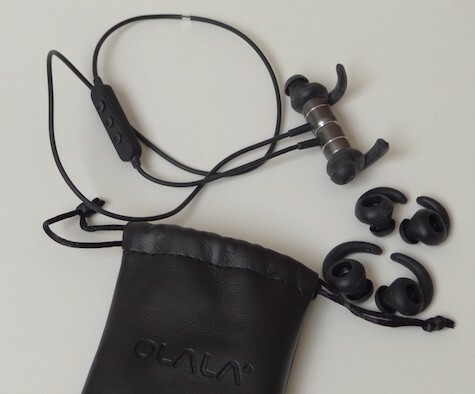 First off I tested the OLALA SG1 Wireless Sport Earphones, offered on Amazon for about U.S. $32.00. They boast 8 hours working time, 180 hours standby, and 1.5 hour charge time. They are waterproof and can support two connection devices simultaneously. Great if you are listening to your iPhone and the phone rings. When I first looked at them I thought “these will not fit in my ears,” because the earpiece is quite large and each one contains an integral ear hooks. I found them to be very comfortable and they stayed in placed during my workout at the gym. They easily block the less than stellar music that is usually playing at the gym. The ambient noise blocking is as good if not better then the usual foam tips used to block noise. The SG1’s have a solid balanced sound that belies their low price. MyMac Review Rating: 9 out of 10. Then I tried the Tribit Xfree Color Wireless Earphones. These earphones have a more traditional eartip that has a removable ear hook and comes with three sets of tips and wings. Like the SG1’s, the Xfree Color earbuds are magnetic so that you can attach them around your neck when not in use. They offer 10 hours of working time, 400 hours standby, and 2 hour charging time. Both offer great battery life for such a small package. The fit on the Xfree Color was good but I will need to try out other tip and wig combinations for my right ear as it loosened a few times during a run. I also had some issues with reconnecting to my phone (an old iPhone). The sound quality is striking! 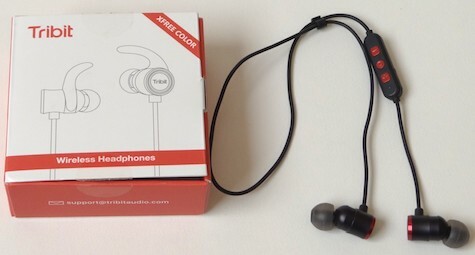 Tribit hit the mark with these earphones; on audio quality the bass is rich and full even at lower volumes with clear mids and bright and clear treble. I normally need to add a little bass to my EQ but these I was able to run flat. I’ve tested a handful of wireless earbuds and none have such a rich clean sound. The Amazon U.S. cost for these is $33.00 Another great deal. 8 out of 10 MyMac Review Rating. The last item of this trifecta is also from Tribit. 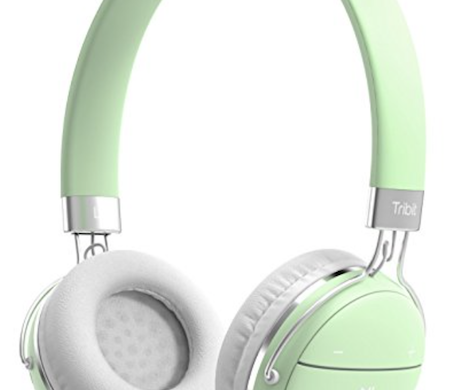 Tribit Xfree Move Wireless Headphone comes in three colors and has 14 hours of working time, with a 2 hour charge time. Amazon listed at U.S. $33.00. It has volume control and a multi-function button on the right earpiece. The fit is comfortable, the earcups are made of a very soft leather like fabric and listening for two hours was true pleasure. The sound that comes from the Xfreee Move headphones is fantastic! With a full tight bass, clear crisp mids and sparkling crystal highs and just like the “Color” earphones, at lowest volume the sound is still full and bright. They may not be the best audiophile headphones I’ve got but the others are four times the price and wired. I had not heard of Tribit until now, but with products at this level of quality and this low cost I suspect we will be hearing from them for some time to come. 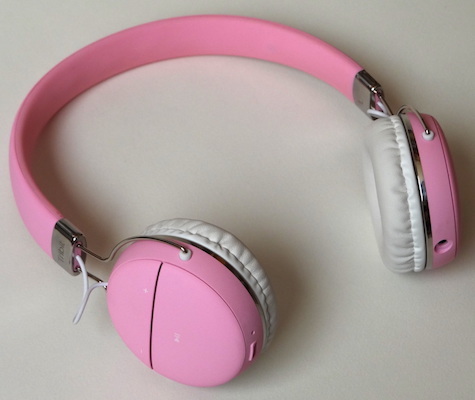 For wireless headphones I have to give out a rare MyMac Review Rating of 10 for 10! So which one to buy? That’s a tough decision. Looking for the best fit and noise blockage — the OLALA SG1. Better sound, better battery life — the Tribit Xfree Color. On-ear headphones that have the best sound and battery life — the Xfree Move. Or get all three for under $100!